This article seeks to improve your understanding of the subtle spiritual significances of Lord Shiva and to elaborate this in the context of the Shivarathri festival. It also points the way for the reader to grasp a true picture of who he really is and help him further on the path. Shiva is extolled in the Shiv-Purana and our mythological literature; hymns are sung in praise of Him by great masters like Vyasa, Adi Shankara and Vivekananda. Words fail to do full justice to the Lord of the Snows, both in His personal and impersonal aspects. Shiva, the Lord of Kailasa, the great Ascetic, symbolises perfect gyana (spiritual wisdom), tapas (austerities) and vairagya (dispassion). He is all holiness and auspiciousness. The One with full command over the senses and the mind, Shiva destroys Cupid or Manmatha, also known as Kamadeva, the God of desire. 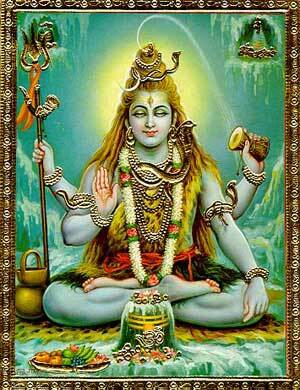 Shiva destroys him through His third eye or the eye of gyana. Thereby showing the supremacy of love as against kama (lust). Gyana, true spiritual wisdom, teaches us that our true Self is beyond gender and body consciousness. Mahadeva, the Supreme Lord, is clothed in an elephant’s skin, the waters of the Ganga surging through His matted hair. He is the Supreme Purifier; devoid of duality; unborn; eternal; the cause of all causes; the Fourth state of being; beyond darkness and without beginning or end. When we pray to Him we commune with God in all these aspects. 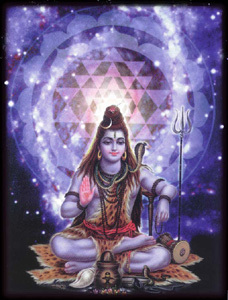 The night of Shiva or the Shivarathri, occurring this month can be understood by contemplating on Shiva as more than just the Personal aspect of God; He is also the Impersonal aspect or the Supreme Brahman. It is here, namely in Sai, that the followers of Shiva, Vishnu and all seekers arrive at a common goal, namely the Oneness of God and His transcendental nature. 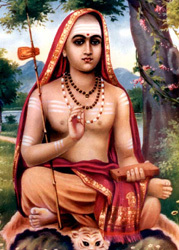 Adi Shankara’s 6 stanzas in his treatise on the “Nirvana Shatakam”, give a view of this transcendental aspect of Shiva. He ends each stanza with the refrain - “Chidananda Rupam, Shivoham, Shivoham” - that is; “I am the soul of Knowledge and Bliss, I am Shiva, I am Shiva.” The reader can also apply the following stanzas to the inner reality of his true Self and contemplate thus. The first 2 stanzas of the Nirvana Shatakam indicate the “Neti Neti” principle of discrimination as applicable to the Jiva. The jiva is bound by these limiting adjuncts. 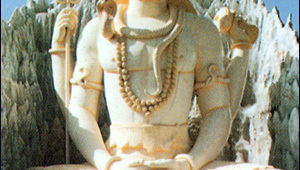 Shankara points out that jivahood is a relative state of existence and illusory - maya. In a shattering of previous earthly conditioning, all names, forms and attachments which bind the jiva are eschewed. Every other identification with duality at the mental, vital and psychic level is rejected by the process of elimination and the jiva “dives” into the ocean of Satchitananda (being-awareness-bliss) to merge with the Transcendental Non-Dual One. He experiences Advaitha Darshanam Gyanam. 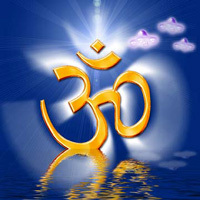 Thus Swami’s statements “A dual mind is half-blind” and “Happiness is union with God” become realized within. It is the declaration of self-realisation that all seekers are reaching for as their goal and it is grand vision of non-duality that Shankara expounds throughout. The rishis and seers of yore, who were selfless and thought about the good of humanity, made very bold and in-depth statements for our benefit, which literally blow our breath away. The knowledge of the immortal Self has made them utterly fearless, while their compassion for suffering humanity makes them speak out the One Truth in various telling expressions. Recently, a senior office-bearer of the Sathya Sai Organisation mentioned in the Divine Presence, that he once asked Swami if he could view the world through Swami’s eyes. 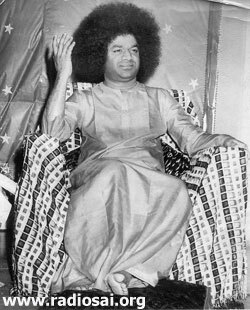 Swami replied “If you were to do that, you would give up your job, your wife and children” for such is the purifying knowledge of Immortality, the Non-Dual, the Fourth State, “It is Paripoorna Prema” or “Love in totality” - Swami. Swami, the Divine Mother, familiarises us, His children, with these great truths by means of simple anecdotes, and analogies so as not to shock the novice out of his wits and shy him away. The Mother makes the truth more palatable and acceptable. This is to drive away the child’s fear of that which gives freedom from all fear! 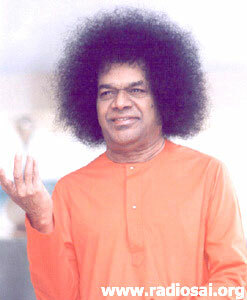 As an example, Swami tells the story of a lion cub who grew among a flock of sheep and mistook itself for one of them. “This lion cub, who had lost its mother, and was reared by a sheep, would take itself to be a sheep and was very timid, subdued and fearful. It would move about with the sheep, eat grass, etc. One day a full grown lion chanced upon them and all the sheep along with the cub tried to flee. The lion was perplexed to see the cub flee from him. So he caught hold of the cub and asked him as to why he was behaving thus. The cub full of fear and trembling, said ‘Please don’t eat me up.’ The lion out of pity took him to a pond and made him look at his reflection, and said ‘You are a lion. You are one of us. See! You look just like me. Now stop this nonsense and roar like me!’ The cub, still trembling, tried to roar, but could only bleat. After several tries, he roared successfully. He was surprised and happy. He was freed from all fear! 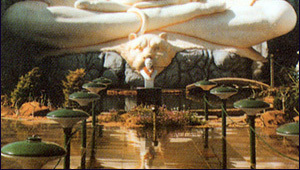 He now moved among the lions happily as one of them." The analogy is obvious - the Lion symbolizes the Atman, while the sheep symbolizes body-consciousness, the latter keeping us far away from awareness of our true nature. The wakeful state (in which the reader is now in) constitutes the entire gamut of worldly sense experiences, body consciousness, the state of duality, subject-object relationship, mixture of joy-sorrow, the three gunas, etc. ‘Denial of the world’, which at first impression may appear a negative action, is rather a rising above this relative state of consciousness into a higher state of awareness – to be who we really are. As the sport and play of consciousness. We are thus, not affected, activated or driven by desires and fears for “The thirst of the man in a dream cannot be quenched by the waking state water”. We are free. We can pray to Lord Shiva-Sai to grant us this state of consciousness, most auspiciously on Shivarathri - for it is our birthright. 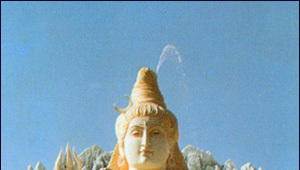 The Name of "Mahadeva", the Great God! In which the dual consciousness of "I" and "Thou"
Of my mind, guard me, prostrate before Him!